Today is the day – moving day! Between packing boxes, loading up the truck, and unloading everything into your new Forest Properties apartment, it’s easy to feel a bit overwhelmed with so much going on. Now that you’ve mastered creating an apartment moving checklist, it’s time to organize your post-move agenda. Once the keys to your new rental are handed over, here are the top suggested tasks to complete your post-apartment move. A Helpful Tip: Whether you’re upgrading to a larger space or moving into your first apartment in Florida, remind yourself that unpacking and settling into your new home takes time. Don’t exhaust yourself too much and enjoy every step! Let the unpacking begin! Actually, before you rip open moving boxes and find a home for every item in your new space, there are a few essential areas to clean. From the kitchen to bathroom, grab your rubber gloves, cleaning supplies, and organization bins from T.J. Maxx and start scrubbing! If there’s one essential task to check off your list in your Ranch Lake apartment, it’s to set up utilities. After all, unpacking in the dark never did anyone good! Before you start setting everything up, get clarification from your property manager on which utilities are included in your rent. Whether you’re transferring service from one apartment to another or are setting up a brand new account, the top services to check off include electric, cable, wireless Internet, heat, and water. Sending out cute change-of-address cards to friends and family is nice, but don’t forget to officially update your residence with the U.S. Postal Service. This can be done online or in person, and it ensures that all of your mail will be forwarded to your new apartment within a short period of time. Besides the Post Office, don’t forget to update your personal bank, insurance provider, employer, medical providers, magazine subscriptions, and online shopping accounts with your new address. Moving Hack: Since it can take a few days for your mailing address to update, complete this task 1 week before your scheduled move-in date to avoid missing mail. Along with updating your address, don’t forget to notify your rental insurance company of your recent move. If you’re a first-time apartment dweller, Lemonade offers great coverage at super affordable prices. With plans starting at just $5 a month, it takes 90 seconds to sign up and have your Audubon Cove apartment and personal items protected! If you cross paths with new neighbors, don’t be afraid to stop and say hello! It’s always nice to establish friendly terms and make a few friendships along the way. 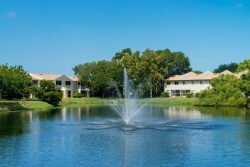 Besides passing each other in the halls or parking lot, stay up-to-date on your apartment complex’s residents events and make use of communal areas like the pool and fitness center at Forest Pointe at Olivine Township in Coconut Creek. 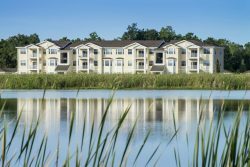 Last but not least, check the Forest Properties Blog for apartment living tips, nearby events, and helpful guides as you continue to settle into your new home. If you have a few pointers to share from experience, share your best post-apartment moving tips with fellow residents on Facebook!